℗ 2015 Deutsche Grammophon GmbH, Berlin under exclusive license to Universal Music Classics, a Division of UMG Recordings, Inc.
"Far from an aberration in a career of metal high jinks, Cooper’s narration seems like an act of homage to a musician who was even more extreme than him." 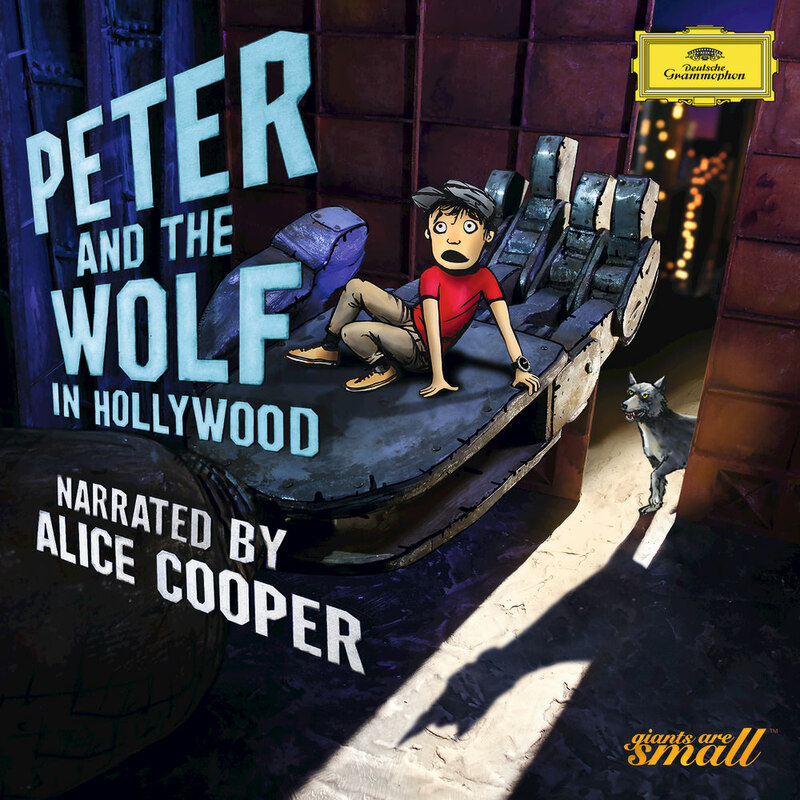 Peter And The Wolf In Hollywood is an unforgettable journey of classical music, visual wonder and digital play, providing an invigorating new perspective on Prokofiev’s beloved children's classic. The work is coupled here with a new, specially-written prequel giving the story a modern twist, detailing Peter's adventure as he travels to California to meet his hippie gardener grandfather and setting the stage for this updated version set in modern day Los Angeles. The album was recorded by one of the world’s leading youth orchestras, the National Youth Orchestra of Germany, directed by acclaimed conductor Alexander Shelley and narrated by rock star Alice Cooper, taking him back to his childhood. "I first heard this back in Detroit when I was six or seven years old. My mom put the record on and I was instantly transported to another world. And it has been huge fun for me to do something new after nearly 50 years in the business." Special thanks to Matthias Spindler for providing the scores and parts for the prequel.